Well here we were, basking away at Café Nasty when an email popped up on the bPad. Yes you guessed it… another week another review from our man with a (burger) plan. And now for something completely different. 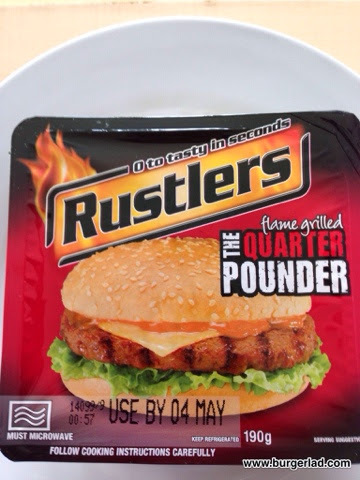 The Rustlers Flame-Grilled Quarter Pounder. 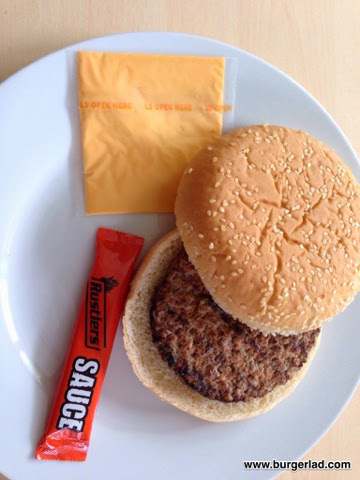 Quarter pounder beef burger with added textured soya protein in a sesame seeded bun, with a processed cheese slice and a sachet of Rustlers sauce. Calories: 293 kcal per 100g. It’s 190g. You do the maths. I’ve got a burger to eat. Cost: £2.20 from Ocado. May vary at other sources. Well, firstly this goes in the microwave. There are two options – nuke the burger and the bun, or just the burger and toast the bun. I opted for the second option as I’m unconvinced bread and microwaves are happy bedfellows. So I removed the packaging and took out the cheese and the sauce. I put the burger and the bun in their respective heating appliances and pressed the buttons. A ping and a beep later and I was building a burger, realising that the whole affair was so fast, I had no time to muse on anything during the wait. 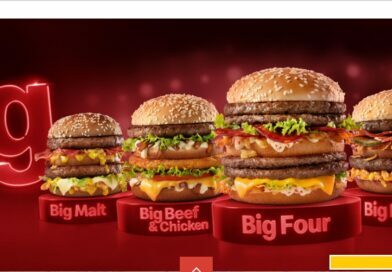 Bottom bun, cheese slice, burger, sauce, top bun. Job done. Best thing so far – no bloody tomato to have to take out. Bite. 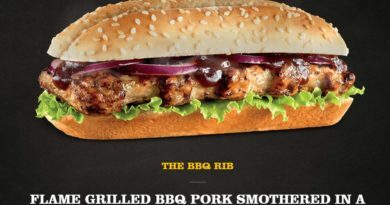 Well first impressions are that this tastes exactly as you’d imagine – a burger at the very edge of the convenience spectrum. I found the sauce a bit odd so I decided to squirt a bit of ketchup (yes, before you need to shout “hypocrite” at your screen, I appreciate the irony of a tomato-remover using ketchup). Anyway, as I get through it, I realise toasting the bun was the better choice. The cheese had melted between the bun and the burger, but it can’t really taste it as the sauce dominates proceedings. The meat is ok. The whole thing tastes rather processed but that isn’t at all surprising. The cooking instructions (which must be followed to the letter) have given me a very hot burger and that’s really good. 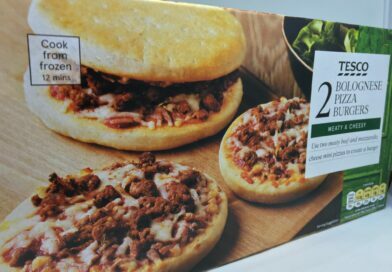 As I pause to marshal my thoughts, I’m drawn to the picture on the packet which has some lettuce in it. A “serving suggestion” apparently, and one of several ways I could have improved and tailored my burger. It was put together in my own kitchen so ingredients to hand included lettuce, tomato (but, no! ), beetroot, carrot, onions, Brie, kit-kats and marmalade. All of which could have pepped this up a bit, but therein lies the conundrum. This burger isn’t pretending to be an Admiral Codrington cheeseburger or anything even close. It’s convenience food at its most convenient and as such, carries out its task with aplomb. But as soon as you start thinking about bespoke additions, it starts becoming less convenient and you may as well go the whole hog and create your own fresh burger (as Burger Lad® has been doing). A fresh homemade burger with all your own ingredients would be better. 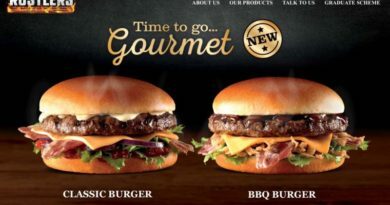 A gourmet burger would be even better. But neither would cost £2.20 nor be as quick or convenient and that’s the point. 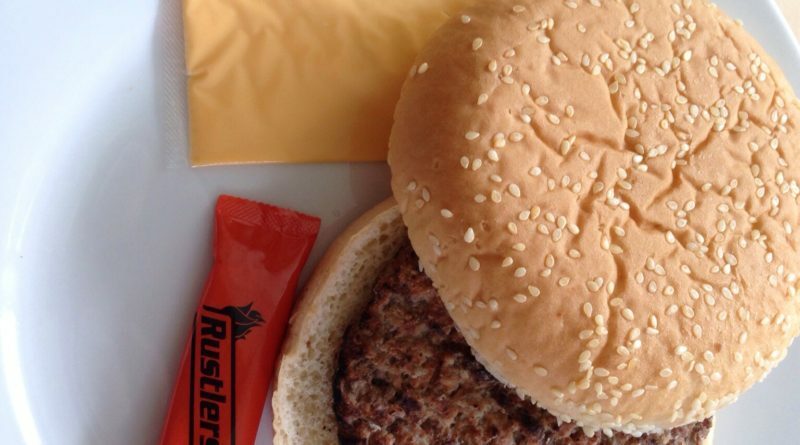 Rustlers’ marketing line is “0 to tasty in seconds” and it has carved out and admirably serves a niche. I finished the whole thing in less than a minute. No fries of course here. In fact from fridge to dishwasher was probably all within five minutes. As I said, it was the Rustlers sauce that came through strongest. A mustardy-vinegary orange-coloured recipe that I wasn’t too keen on. It did seem to lighten up a bit after adding ketchup though. Verdict-wise, I probably wouldn’t have it again. I’m simply never in need of a five-minute meal but I’m sure plenty people are sometimes and in such cases the Rustlers burger does the job. 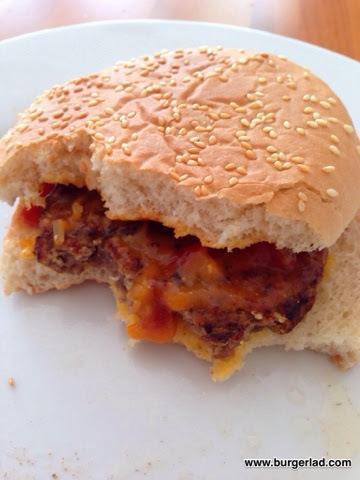 Another fine piece of burger analysis there by our PBC – our other microwaveable burger review is currently our 9th most read review/post so people out there do you want to know about these products. Yes, BL and Andrew I did enjoy reading this review. 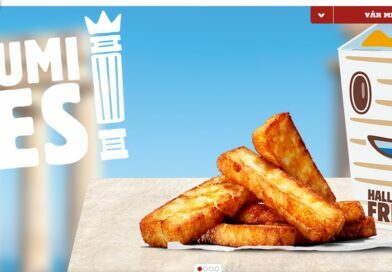 Personally, I think that offering a range of fast service food is a positive. The best way I’ve found to use a Rustlers is to get your grill on high, take everything out of the packet, discard the sauce sachet as far as is humanly possible, pop the bun halves cut side up under the grill to toast. 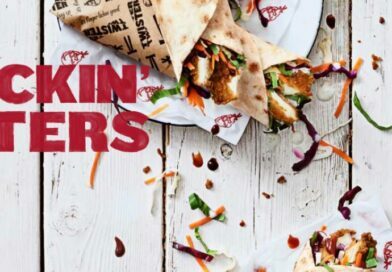 While this is happening nuke the burger (a bit less then the instructions say), then assemble with the cheese slice and any condiments you like (for me its spicy ketchup/mayo and mustard), then wrap in kitchen towel and nuke for 10 seconds to meld all the flavours. It sounds a bit drawn out but the whole process takes a couple of minutes and you get a decent snack. My local shop usually has a deal on where they cost £1…bargain I would say.